Quick overview Supports the latest ATX 12V V2.3 & EPS 12V standards. 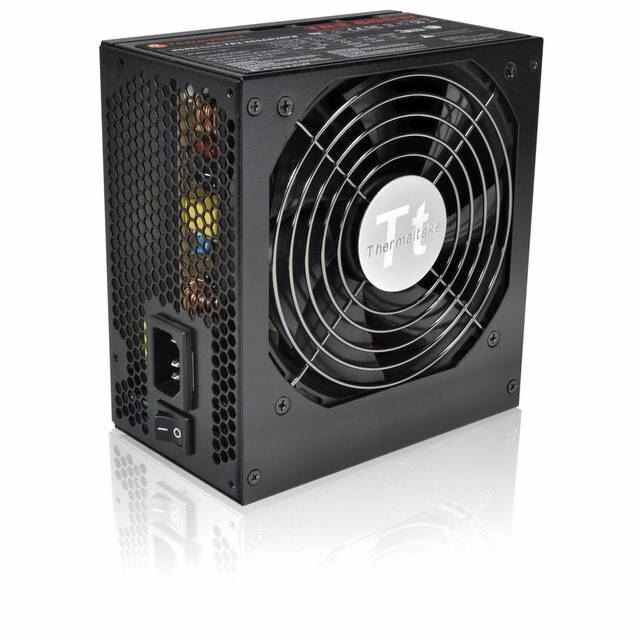 Guaranteed to deliver 850W continuous output @ 40℃ operating environment. High current & single +12V rail provides superior performance. 80 PLUS Bronze certified: with 82-88% efficiency @ 20-100% load under real world load conditions. 100% High quality Japanese capacitors ensure superb performance and reliability. Solid state capacitors: great stability at higher operating temperatures, frequencies and currents. Double forward ultra-efficient circuitry design for added power savings. Synchronous rectification circuit design with DC-DC converter for extremely stable performance and high efficiency. Ultra-quiet 140mm cooling fan delivers excellent airflow at an exceptionally low noise level. Active PFC with Universal AC input. Flat, low-profile modular cables allow for easy cable routing and increased airflow. Supports multiple core high-end graphic cards & CPU. (NVIDIA SLI & ATI CrossFire Ready) Dimension: 150mm(W)x86mm(H)x160mm(D). High reliability: MTBF>100,000 hours. Heavy-duty protection circuitry of Over Current, Over Voltage, Under Voltage, Over Power and Short-Circuit protections. Safety / EMI Approvals: UL/CUL/TUV/CE/FCC and BSMI certification.